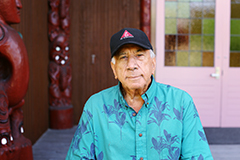 Tīmoti was born in 1937 and is a descendant of the Ngāi Tūhoe and Ngāti Kahungunu tribes. He is a scholar who is nationally and internationally recognised for his knowledge of the Māori language. Tīmoti is also a prolific composer and Māori performing arts expert. He aha rā kei te tau o taku ate? Kaitātaki: He aha rā kei te tau o taku ate e haehae ake nei? 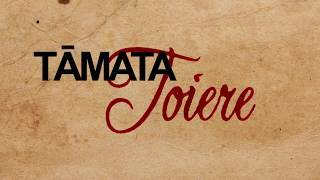 Katoa: Ko te mamae ki te ngaro o taku reo! words spoken by those who have passed on. That I might stand with confidence today. In 1981 this was the action song composed for the competitions to celebrate the Coronation of Te Ata-i-rangi-kaahu. The tune was composed by the students themselves.